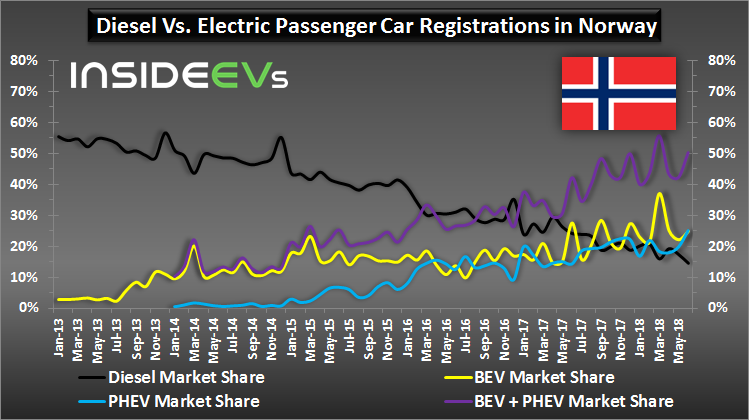 Norway almost broke its own record for passenger plug-in electric car sales in June. The nation noted its 3rd best monthly result (within 1% of the previous two records). 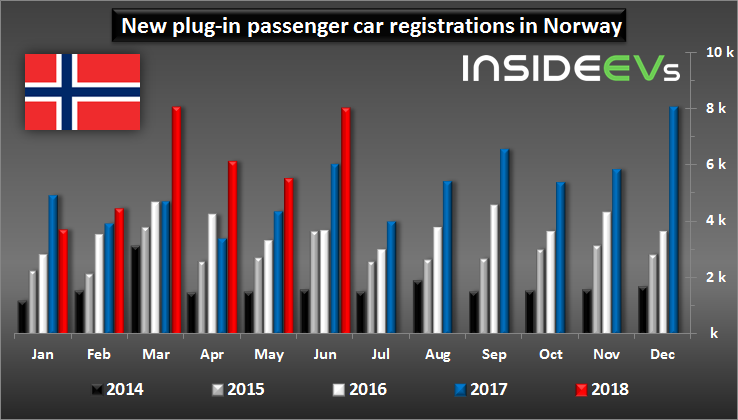 In total, 7,973 new passenger plug-in electric cars were registered last month (up 32.7%) and that’s more than half of all car registrations nationwide. The market share stands at 50.3% (second best ever result and the third time the figure has been above 50%). The average share for the first six months of this year stands at nearly 47% and 35,766 registrations translate to average growth of 32.6%. 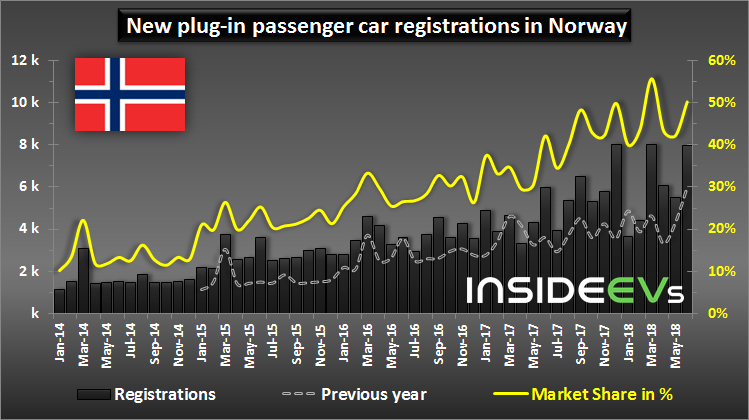 As you can see, all-electric car sales didn’t grow much, but everything could change as customers are eager to purchase many new models – Hyundai Kona Electric alone have 7,000 orders while Audi received 3,700 reservations for the e-tron electric SUV from Norway alone in March (by now, that figure could be even more). 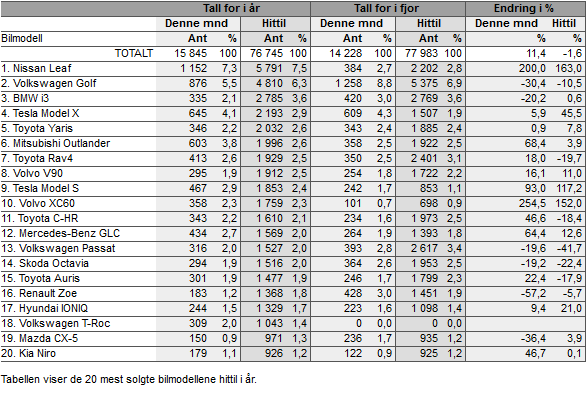 In Norway, the best selling model of any type (gas, electric, diesel, etc.) in June and in the first six months of 2018 is the Nissan LEAF. TheJapanese compact hatchback noted 1,152 new registrations last month (7.3% of all) and 5,791 total (7,5% market share). 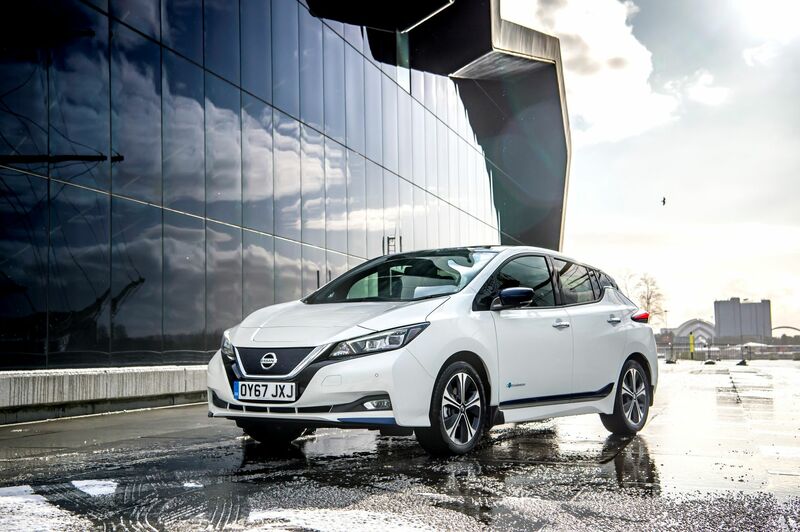 The LEAF was even able to beat the Volkswagen Golf (ICE, e-Golf BEV and Golf GTE PHEV), which is second for the year. The BMW i3 is doing well in Norway too with 335 registrations in June and 4,810 YTD (third best-selling model), but the biggest surprise is a strong 4th place for the all-electric SUV Tesla Model X. The last thing we’ll look at is the progressive death of the diesel cars – just 14.6% share in June compared to more than half of the market five years ago. That says it all. Even the gasoline cars are decreasing significantly and now are below all-electrics (below 24%).